The International Association of Peer Supporters is seeking proposals from presenters for the 13th annual international peer support conference. Daring to Rise is the theme of this year's conference, which promises to be an exciting and inspiring event. Your contributions toward the conference program are valued and appreciated. We will be looking ideally for proposals on advanced level approaches to peer support and innovative programming. We are always seeking diverse experiences and fresh ideas. "Repeat" workshops on the same or similar topics given by the same individual(s) from previous years are not likely to be selected. If you have presented before, we welcome your offering of something new. 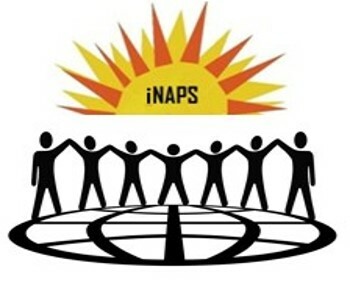 We are actively and intentionally working on making iNAPS a more inclusive and safe space for individuals who have historically been marginalized. All contact with proposal applicants will be with the individual listed as the "primary presenter." If you are submitting more than one proposal, use a separate form for each proposal. It is highly recommended that you create and keep a draft of your proposal before submitting online. Presenters are responsible for their own conference expenses (e.g. registration, travel, hotel, meals). Use the form below to submit your proposal. Please submit a proposal only if your attendance upon selection is assured as no presenter scholarships are planned. Items marked with an asterisk are required for submission. The primary presenter will be the main contact between the conference planning committee and those who are submitting a proposal. If yes, can you provide the title and/or link? 8. Please provide at least three learning objectives that tell what the attendee will gain by participating in this educational experience. For guidance on learning objectives, click here. Please review the link to ensure wording objectives properly as we will need them written in a certain way for CEU's. If yes, please mention the identity and which presenter it's for.